Its exact origins are a mystery, but for people around the world, April Fool’s Day serves as an opportunity to indulge in lighthearted hoaxes, pranks and tomfoolery without any serious repercussions—if only for a day. 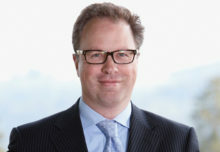 And it’s not just consumers pulling fast ones on their friends and family; brands and the media come out to play, too. There are always a few sticklers (Microsoft banned April Fool’s pranks this year citing the potential for “unwanted news cycles”), but mostly, companies take advantage of the chance to let down their hair and have a little fun. This year’s crop of stunts didn’t disappoint. Check out our top picks below. Stock photo company Shutterstock gave its digital brand the brick-and-mortar treatment for this year’s hoax, announcing its plans to build the world’s largest physical library in Brooklyn, NY. According to the brand, which announced its plans via video (see below), the supersized library would allow for the housing of over 250 million volumes of imagery—all bearing the Shutterstock watermark. The library was also slated to showcase over 14 million reels of film and a listening bay featuring shelves stacked with thousands of cassette tapes (nice) bearing audio watermarks. Shutterstock even went so far as to name the architect for the project, Alexandria VonPixel, who was described as a world-renowned Belgian architect known for her extravagant cathedrals. And the kicker? The brand revealed that librarians would be replaced by AI-powered robots called Cyanotypes (cyanotype is a photographic printing process that produces a cyan-blue print) that would allow the library to be open 24/7. Sounds like Shutterstock used every trick in the book. Making average-height men around the country collectively cringe, Tinder duped its users by introducing a new height verification feature to the app to “bring truthfulness back into the world of online dating.” Consumers simply had to send Tinder a photo of themselves standing next to any commercial building, and the brand’s fabricated state-of-the-art tool would ensure they weren’t lying about their stature. Kudos to Tinder for using a well-known setback in online dating to make the prank all the more believable. Snagging the No. 1 spot on the list of pranks we wish were real, Three Olives cleverly rebranded New York’s Roosevelt Island as “Rosévelt Island,” describing it as “the most colorful 150 acres in the world dedicated to the most beloved drink of summer.” Citing millennials’ love of all things rosé, the brand leveraged a video and microsite to showcase a redesigned Roosevelt Island drenched in pink, from the sidewalks to tram cars to turf, where rosé “connoisseurs from around the globe” were welcome to spend their summer. A guide to visiting the island rounded out the stunt. Auntie Anne’s is well-known for its savory hand-rolled soft pretzels, but wellness? Not so much. Until April Fool’s Day, that is, when the brand announced the addition of Hot Yoga Studios to each of its more than 1,800 locations. 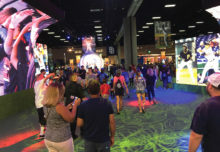 The shift would transform the restaurant chain into the world’s first “hybrid pretzel/hot yoga” destination where consumers would be invited to twist themselves up just like the brand’s beloved treats with help from trained instructors. And here’s the clever part: Auntie Anne’s revealed that the concept would be made possible thanks to the ovens in each store, which would simultaneously bake the pretzels and heat up the yoga studio space. Adding an extra layer of humor Auntie Anne’s also announced the debut of “Heaven Scent” pretzel aromatherapy at each location, adding to the one-of-a-kind hot yoga experience. 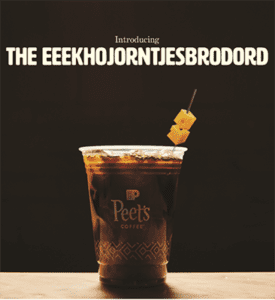 Using its 53rd anniversary as a guise, Peet’s Coffee claimed to have created a new cold brew product inspired by its Dutch founder’s heritage: The EEEKHOJORNTJESBRODORD. Only available in coffee bars on April 1, the new concoction was said to be comprised of coffee, a salty Dutch licorice and notes of Boerenkaas cheese from Alfred Peet’s hometown of Alkmaar in the Netherlands. Depicted with a cheese garnish, the grotesque-sounding beverage was billed as a “quintessential Dutch treat not to be missed.” Simple and fun. We like it. As the electric vehicle movement continues to gain momentum, BMW had a little fun with the subject. Just in time for April Fool’s Day, the brand, which has an array of hybrid and electric models, revealed a new way to charge up: paint. 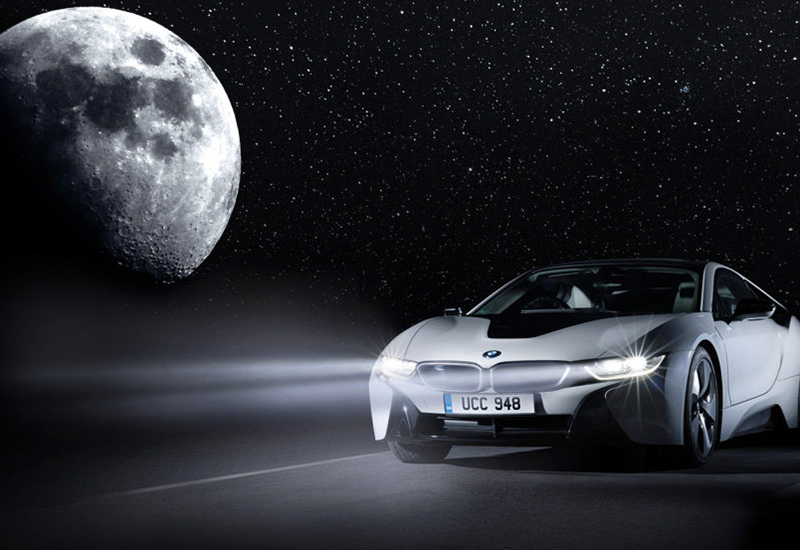 Billing it as a groundbreaking new product, the automaker debuted BMW Lunar Paint, an eco-friendly paint that allows electric vehicle drivers to charge their cars at night without plugging in. The brand claimed to use “revolutionary photovoltaic technology to passively recharge your battery in the hours of darkness, extending your electric range even further.” Apparently for BMW, the sky really is the limit. Playing on the idea that plants are able to “talk” to each other through their root systems, Google claimed to develop an application that allowed Google Home devices to communicate directly with tulips. Dubbed Google Tulip, the app was only available for one day (April 1) and featured advancements in artificial intelligence that allowed Google Home to understand what tulips were saying and translate between “Tulipish” and a variety of human languages. A video depicting scientists and “plant engineers” who cited the environmental and societal benefits of the new tool added an element of plausibility to the hoax. The brand even got Google Home users to interact with their devices, encouraging them to say, “Hey Google, talk to my tulip.” Nice. Leveraging what may have been the most creative strategy employed amid this year’s array of April Fool’s pranks, Burger King announced a new product that consumers immediately called out as a hoax—meat-free “Impossible Whoppers.” But here’s the catch: the product is real and being market-tested at 59 of the brand’s St. Louis locations. 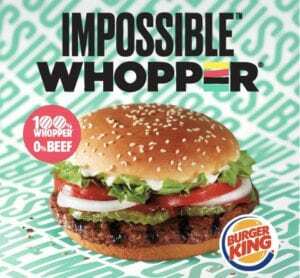 BK used April Fool’s Day to garner some extra awareness around the new product, created in partnership with Impossible Foods, a company that makes “meat” and “dairy” products out of plants. The guessing game—is the product real or a trick?—drummed up plenty of online buzz, giving Burger King the attention it was, ahem, craving.